I'm all for healthy eating. but I adore salads and foods that aren't fat laden. I knew I wanted to come up with at least one healthy recipe. 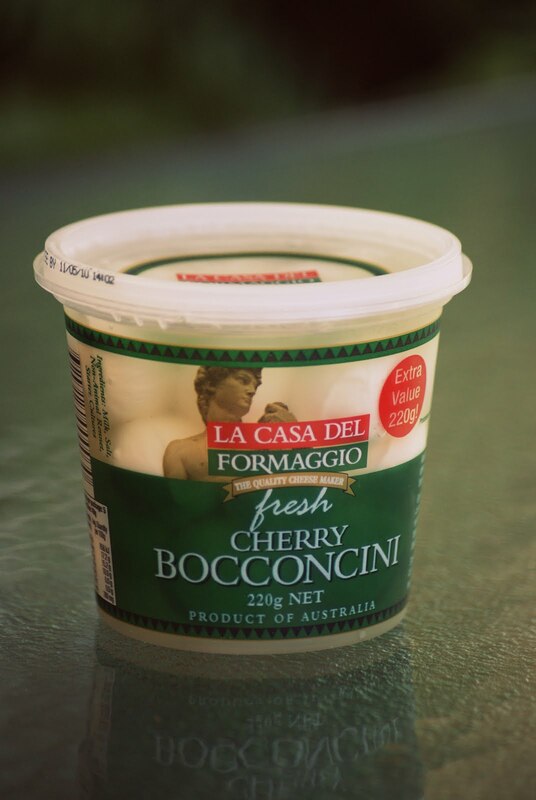 Bocconcini is a delicately flavoured fresh cheese that is a Pasta Filata (also known as a stretched curd). In Italy, it's usually made with water buffalo milk, however La Casa use cow's milk in their bocconcini. We had a small barbeque for mother's day and I was looking for something that was fresh and light. I knew I had some cherry tomatoes as well as the La Casa Cherry Bocconcini and a loaf of fresh, crusty bread. So I decided to do a simple twist on the usual Bruschetta. First I grilled the bread slices until they were firm enough to rub with the fresh garlic. I then drizzled the bread with olive oil and returned them to the oven to toast some more under the grill. While the bread was grilling, I tore up the Cherry Bocconcini - you could slice it or leave it whole - and then tossed it with the quartered cherry tomatoes, olive oil and some salt and pepper. 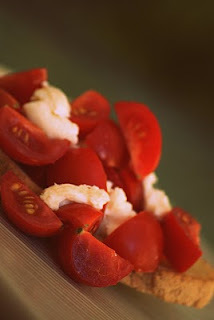 Then all you have to do is arrange the toasted bread and top with the tomato bocconcini mixture. I would definitely add some basil, however, I didn't have any at the time. Another idea would be to spread some basil pesto onto the toasted bread for extra flavour! What's your favourite thing to do with bocconcini? I love bocconcini on pizza but that pasta idea sounds delicious! Sounds just perfect for a summer's meal in the garden. I could probably do the same. I loveee cheese.